These days, there is such an abundance of technology that it’s nearly impossible to organize and accomplish tasks- seems counterintuitive, right? Between multiple email accounts, social media sites, and work-related applications, think about how much time you waste just wading through the constant stream of documents and browser tabs. Wouldn’t it be great to streamline your workflow? Employ a set of simple tools to make your days more efficient and user friendly? Well, luckily there are applications out there that can make this possible- you just have to know where to look. And even more luckily, I’ve done it for you! This is Part I of my top ten must-have apps for a clean, organized, and productive life. Look out for the last 5 apps in my next post! If you don’t already use this gem, it’s about time that you do. Dropbox allows you to access your files from any computer, anywhere in the world, even from your phone or tablet. You also have the ability to share some or all of your folders with friends, coworkers, and family, making it easy to send those pesky large documents to anyone with a Dropbox account. Got a batch of photos to send to Grandma? Don’t waste your time emailing them! Just upload the entire set to Dropbox, share it with Grandma, and it automatically appears on her computer! Accounts are free for up to 16GB (taking advantage of referral perks) and they offer “pro” and “business” accounts with much more storage starting at $9.99/mo and $15/mo per user, respectively. 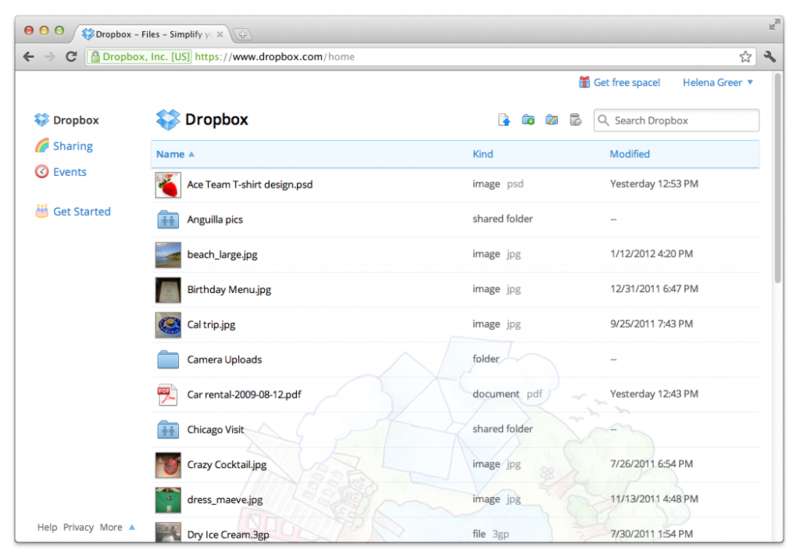 DropBox is compatible with both Windows and Mac, as well as iOS, Android, Blackberry, Linux, and the iPad. The workhorse of the Google app empire makes it a cinch to share documents, collaborate on projects, and access your files remotely. All you need is a Gmail account, and you can easily sync your folders to be opened from anywhere- laptop, phone, tablet, you name it. Plus, it’s great for teamwork, since each user can make changes to spreadsheets and presentations, and with Drive saving your work in real-time, you feel good knowing you aren’t going to accidentally erase this quarter’s budget report! What’s even better is that Drive has a built-in search engine, image and word recognition, and allows users to open any type of file (such as Adobe Illustrator or Photoshop documents). It’s free to use and is compatible with Windows, Mac, iOS and Android platforms. This app has garnered an armful of awards, and for good reason. Any.Do is a task and to-do list master, with a sleek interface and easy to use features like voice-to-text conversion, and location and time based reminders. This app syncs perfectly with your computer to shuttle shopping lists, chore lists, and agendas between your devices, so you never miss an important meeting or forget something at the store. Any.do helps you plan your day by prompting you to create to-do lists and reminding you of upcoming events. Any.Do is actually broken down into two separate apps, “Task and To-Do Lists” and “Cal”, but I wanted to lump them together since they really operate best in tandem. Any.Do Cal syncs with your existing calendar apps (Google, Mac, Facebook, etc…) and expands on them, allowing you to view date/time details, make dinner reservations, and alert friends to an important day- all from one screen! The all-around work and household manager app, Evernote, has gathered a large and dedicated following for its comprehensive and concise platform. Available for desktop and smart phones, Evernote is the master of compiling information, links, lists, photos, and screenshots into an easily searchable database. Unlike most note-taking applications, it saves in rich mode, with links and images embedded, and allows you to find things using tags and keywords. 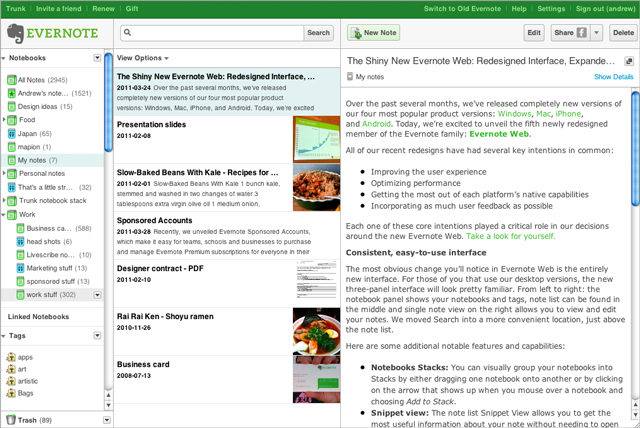 Evernote is designed to be an all-in-one program, and it gets better the more you use it. You can store clippings from the web, make individual notebooks (great for college courses), upload scanned documents, create a journal/diary, and generally assemble your everyday life into one area. Its Web Clipper is a clean extension for your browser, enabling you to take screenshots and clip links for notebooks, which you can then tag and file as you please. You can also set reminders, collect recipes, and share notebooks with friends. Evernote comes in both a free (60MB/mo) and Premium version (1 GB/mo for $5/mo). If collaboration and communication are soft spots in your productivity armor, I suggest you try Quip. This great little app lets you work on projects with anyone else, see your updates in real time, and even make edits offline. It has a clean and simple interface, and organizes your group’s comments and changes in a thread-like conversation that is easy to follow. Quip hosts folders, documents, and checklists, each with its own messaging thread and unique team members. It also has lots of features that you think may not make a big difference, but really come through when you need them. The ability to verify that a group member has opened your document, exactly when and where edits are made, and when your collaborators are online all come in handy when meeting a deadline or forming a cohesive idea on a large project. 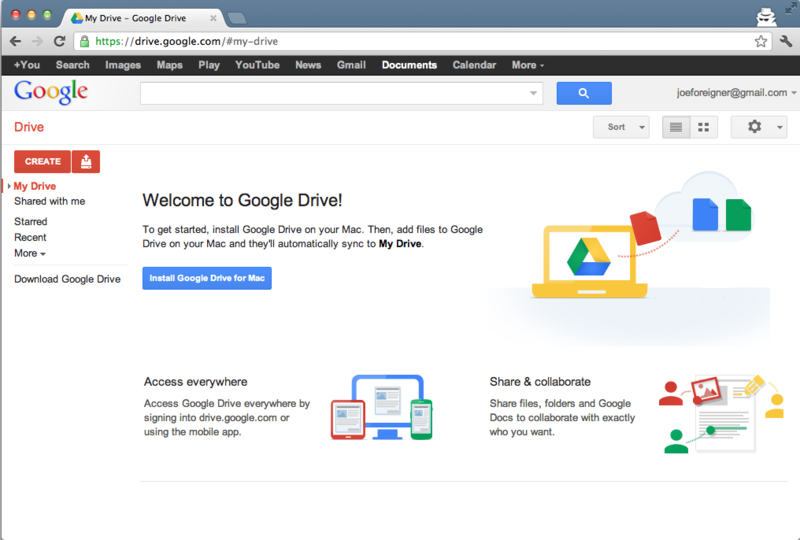 You also have the ability to sync and upload documents from Google, Evernote, and Dropbox, as well as share shopping lists. We all know when it comes to group efforts, the more organization, the better- and Quip has it all!